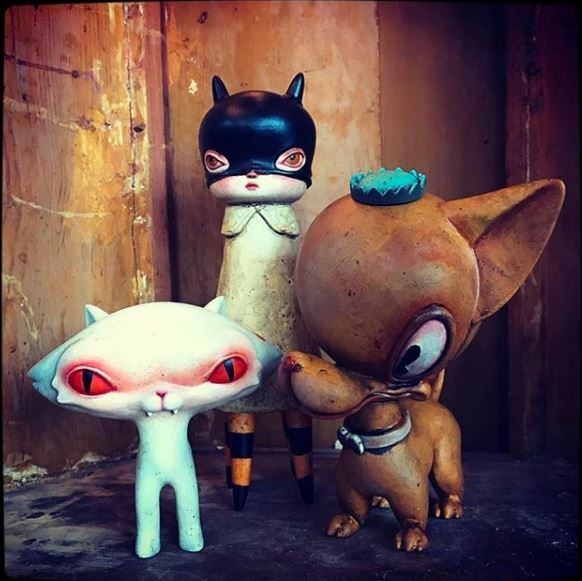 Stranger Factory gallery is now open 7 days a week! 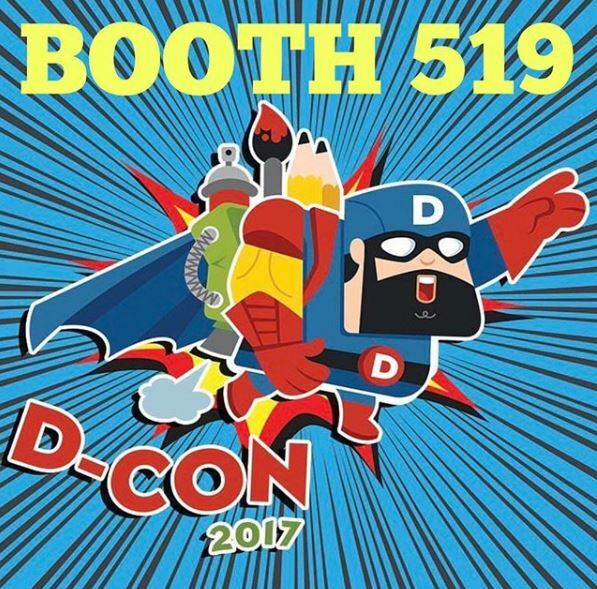 Sales info for Designercon 2017! 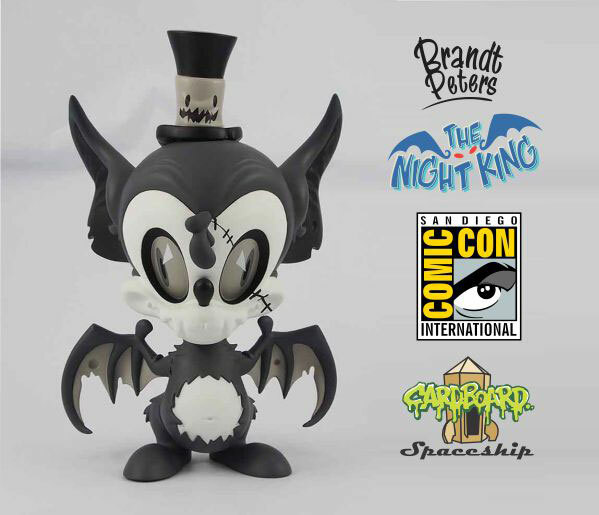 Brandt Peters hand painted sofubi (Clyde, Stingy Jack, Astrobat, etc..) will ONLY be available by raffle. Raffle tickets can be obtained from 9am-1pm at the booth, with the drawing at 1:00pm on Saturday only. One ticket per person. Any unsold sofubi items will be available for first come first serve on Sunday. 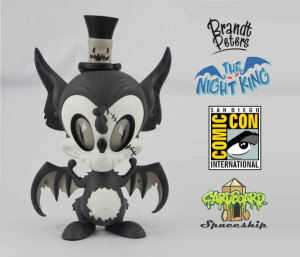 There will be limitations on buying multiples of the same sofubi figures / A limited amount of blank GID Astrobats will be available ’only’ with purchase of a hand-painted figure / etc. 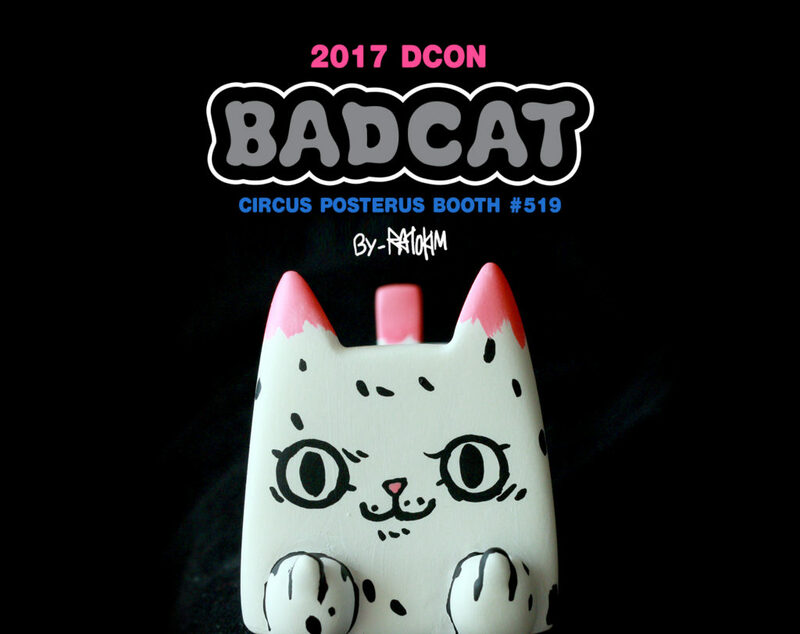 If you have any questions, please ask someone at the Circus Posterus booth at DesignerCon for more info. Paul Kaiju one night only at Stranger Factory! 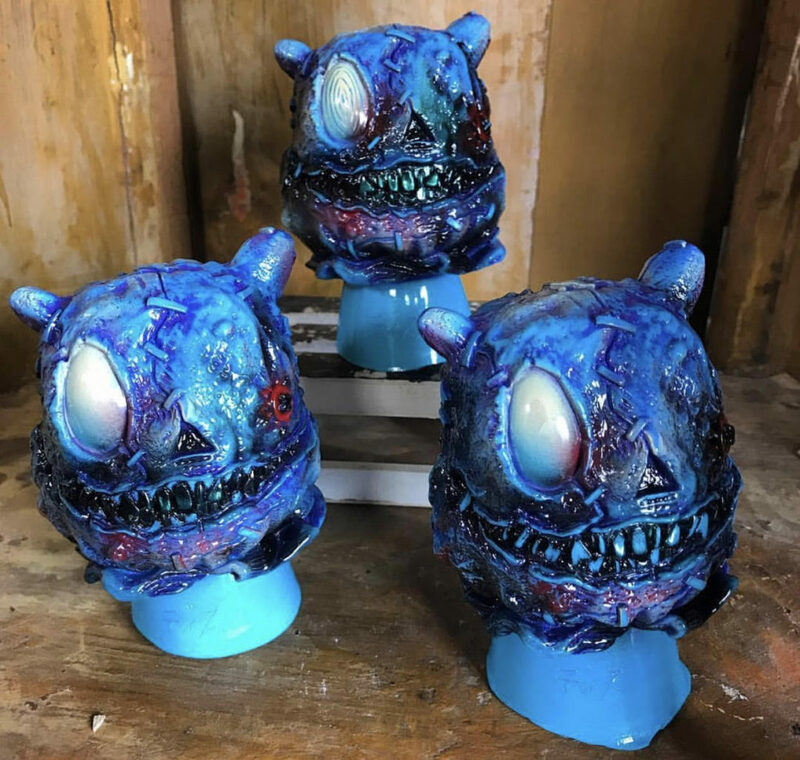 Stranger factory is proud to present our March mid-month event with sofubi (Japanese soft vinyl) toy artist, Paul Kaiju. Paul is a designer, sculptor, and painter working away at his sofubi/kaiju creations in sunny San Diego, California. 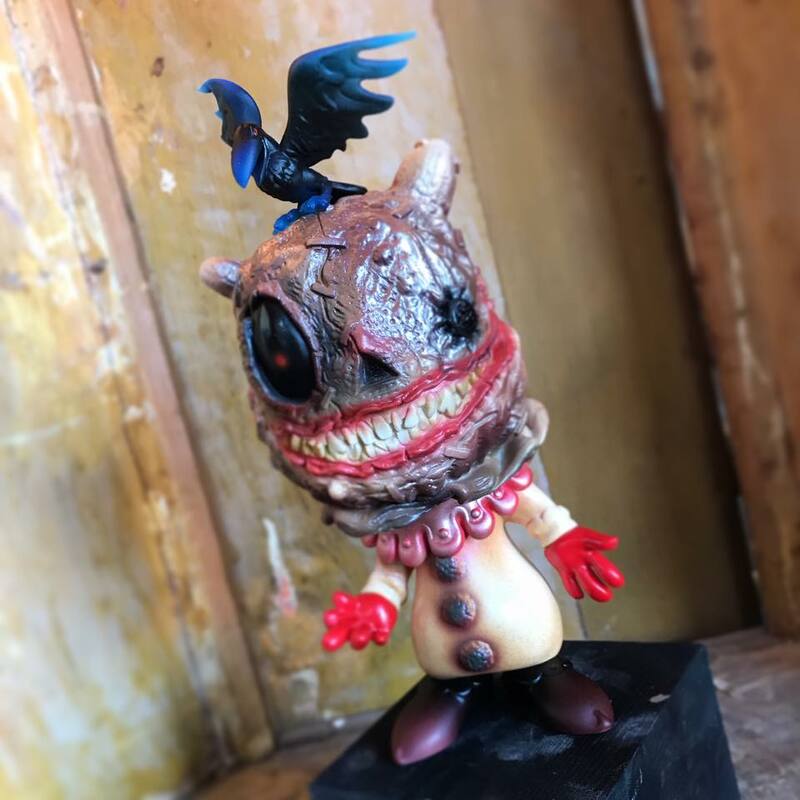 Known as much for his custom paint work as for his original toys such as Boss Carrion, Paul’s work is recognized as some of the best in the American Toy scene. 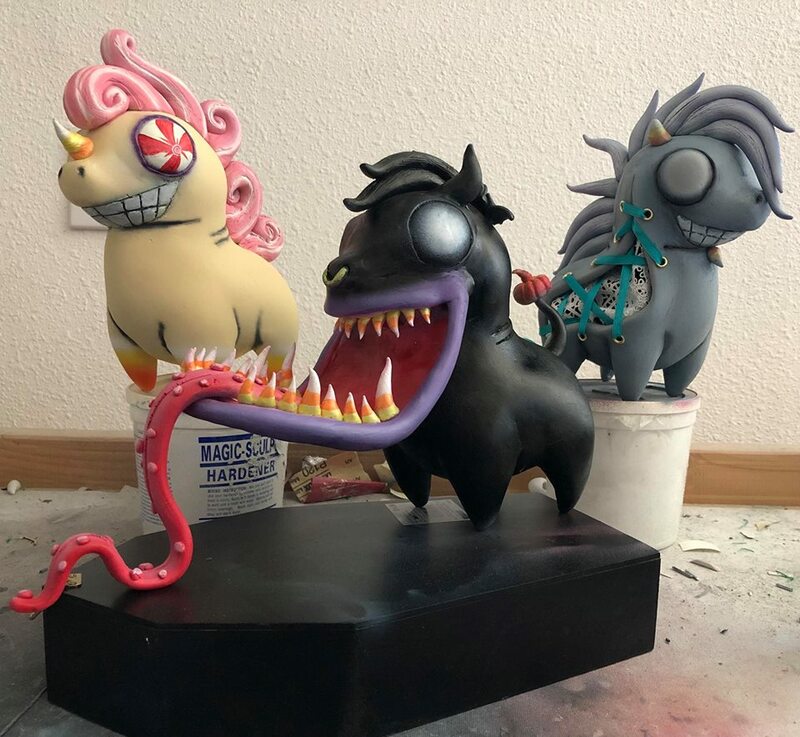 Paul Kaiju will have a limited amount of hand-painted custom figures at this one-night opening reception. 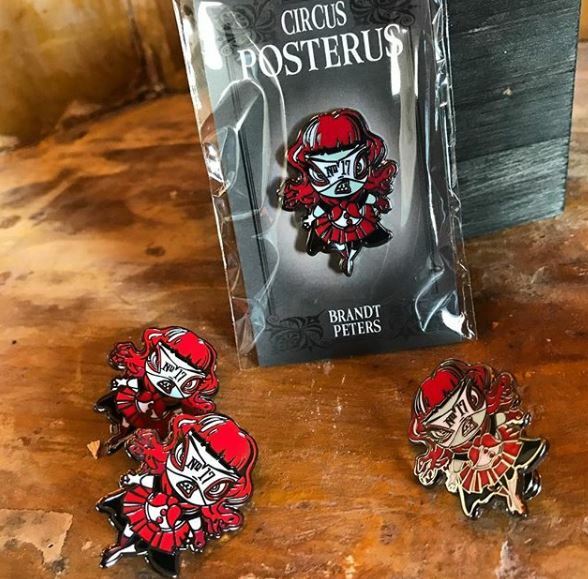 It is a very limited engagement and any available figures after the weekend, will be put up for online sale on Monday, March 20th by 12 PM noon (PST) in our online store on CircusPosterus.com. In person sales on Saturday will require a raffle wrist band that will be distributed on a first come first serve basis, starting Saturday, March 18th 12 noon through 7:00 PM (UPDATE 3/17/17). Numbers will be randomly picked and called at 7PM. Must be present to participate in the lottery. One item per person. No additional in person sales over weekend once a piece is purchased Saturday night. No phone calls or emails will be accepted until the following Monday, if any pieces are still available. 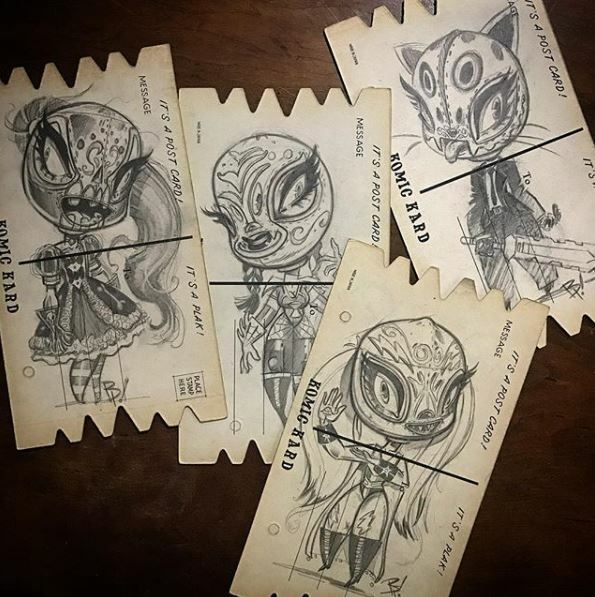 2016 Stranger Factory Halloween Contest! Ghosts and ghouls, in celebration of Bewitching 6, and our favorite time of the year, we have an epic Halloween Contest with the most spooktacular guest judge Dark Town Sally! 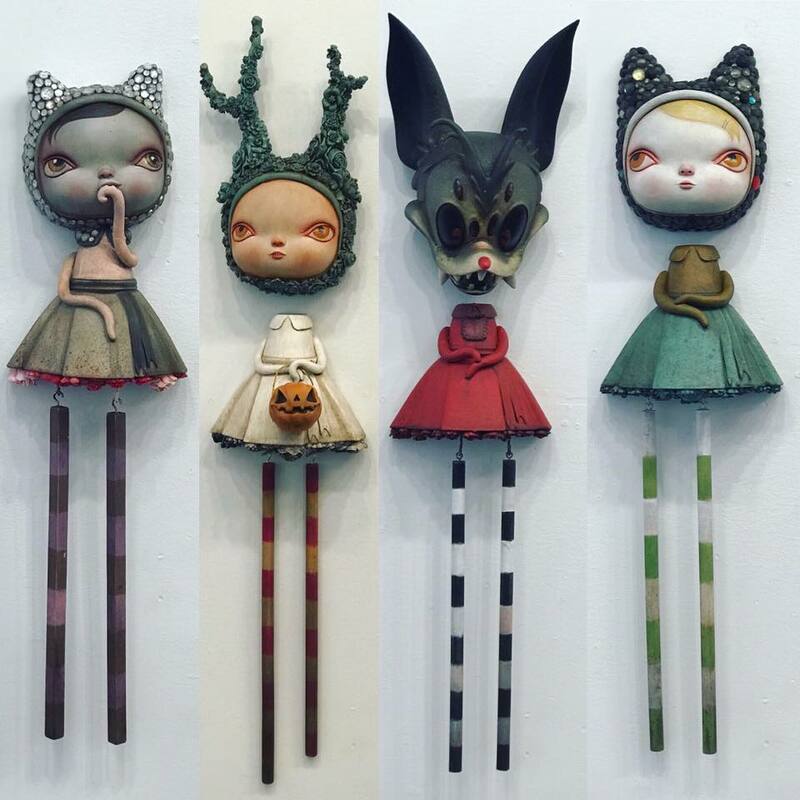 Stranger Factory wants to see how you decorate for Halloween!!!! 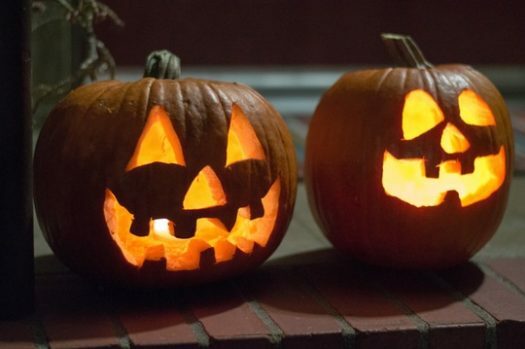 The rules are simple: Show us your Halloween decorations! We want to see any pumpkins you carve, house decorations, setups of toys with a spooky theme, cupcakes you make, and so on. You get the spooky idea right? BUT you must use the hashtag #StrangerFactoryHalloween so we know you have entered. The prizes are awesome: Two winners will receive a custom Halloween treat bag filled with goods so awesome the Great Pumpkin is jealous! 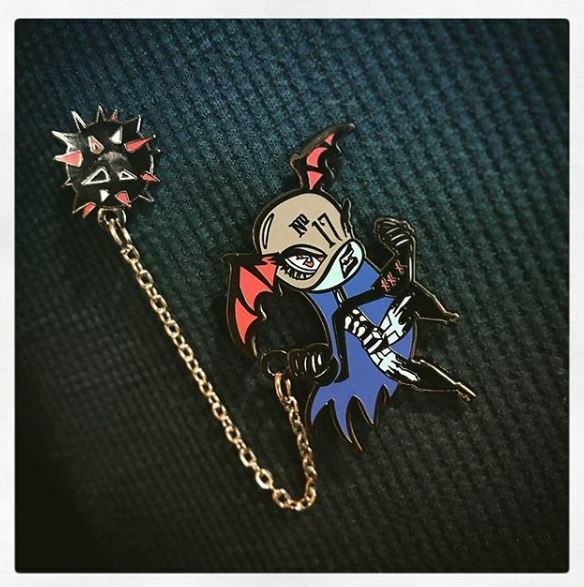 The deadline is Wednesday, October 26 at 9pm CST to give our captivaiting judge Dark Town Sally time to pick a winner. Only TWO will win, but all will have a blast participating. The contest is open to EVERYONE and each contestant is allowed as many entries as they want! Good luck and Happy Halloween. 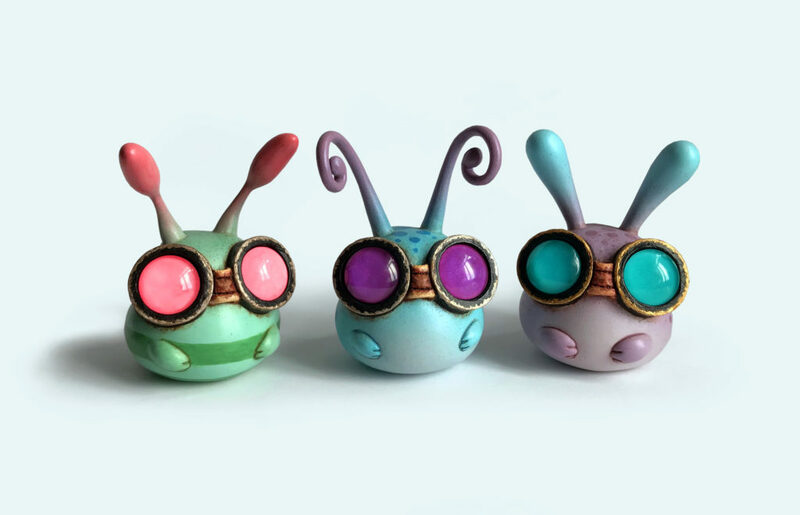 May brings two new exhibitions to Stranger Factory! Japanese artist Erika Sanada presents several new expressive sculptures that she considers both odd and dreamy. 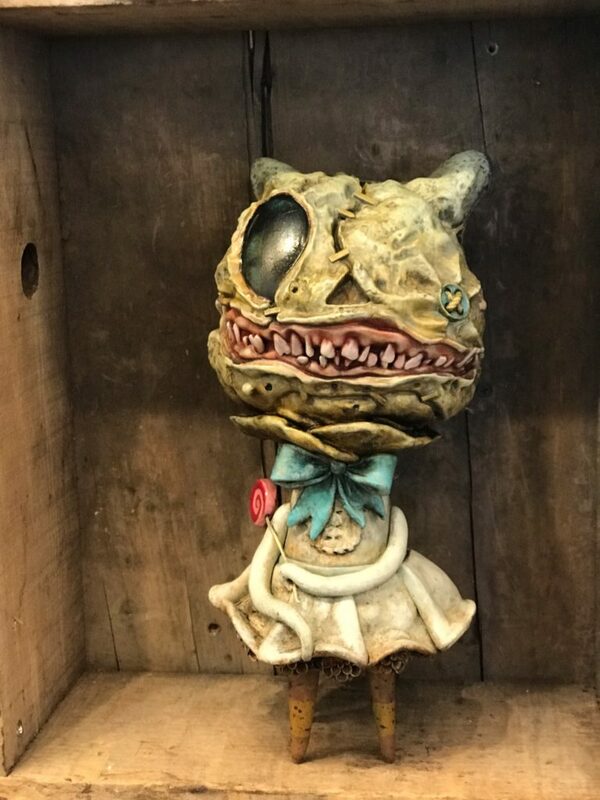 Her softly bizarre ceramic creatures make their first debut at Stranger Factory in May with her solo exhibition “COPE.” As autobiographical spirit animals, her unique canines allow her to cope with her own anxiety and serve as empowering alter egos. She recently earned her MFA in Ceramics at the Academy of Art University in San Francisco. 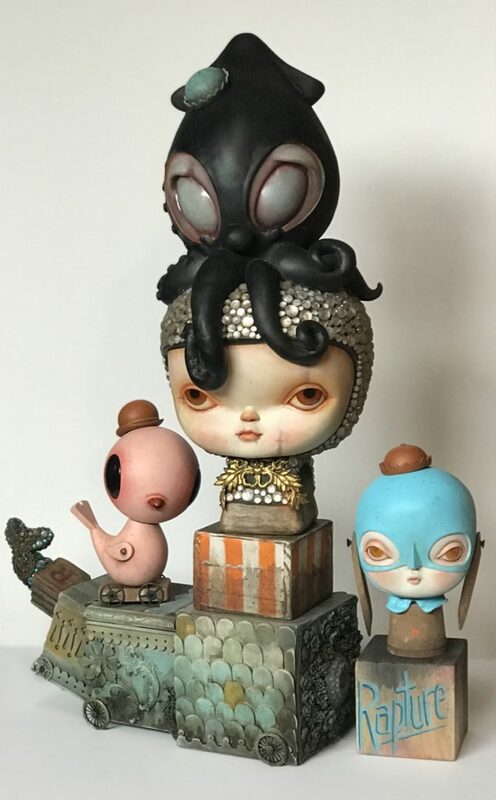 Stranger Factory is pleased to announce our 5 year group anniversary exhibition with an all star line-up of character driven artists that have graced our walls throughout the years. 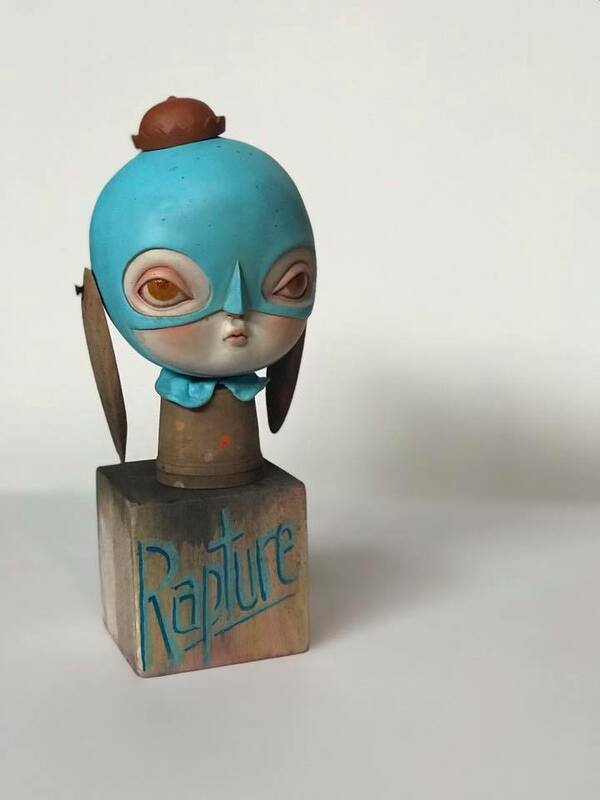 Erika Sanada”COPE” and Stranger Factory’s “5 Year Anniversary” opens Friday May 6th, from 6-9 pm (open to the public). The show will run May 6th – 29th. 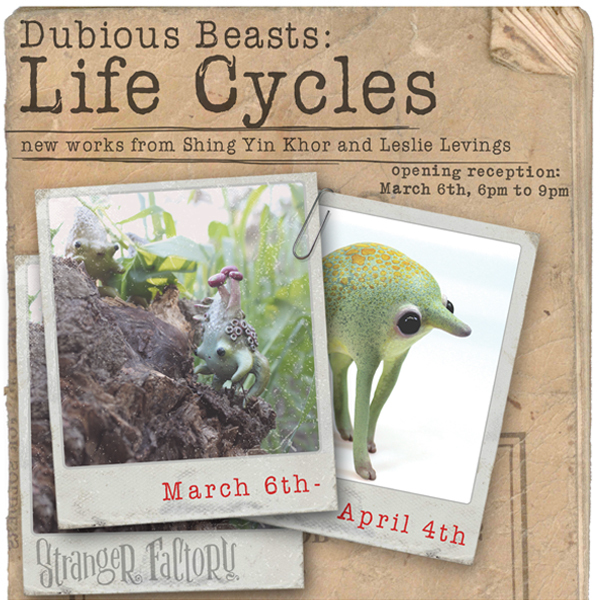 Stranger Factory is excited to welcome the the third installation of the “Dubious Beasts” collaborative series of shows by Leslie Levings and Shing Yin Khor. In this show, the artists explore a universe of off kilter whimsy and inquire into the development processes of their curious creatures. Leslie Levings is a sculptor renowned for her charming and personable Beastlies series. Her dubious creatures are elegant and lost in thought, cuddled into a nook of a tree, or perched over a quiet lake. Shing Yin Khor is a sculptor and painter. Her dubious creatures are anxious and not particularly intelligent, a slightly alarmed look on their face as they appear in a range of sculptures and watercolour paintings detailing their observed behavior. Paired with an obsession with natural history museums, trophy heads, and cabinets of curiosities, Levings and Khor bring to Stranger Factory a delightful menagerie of colourful, beady eyed critters – bending over clutches of eggs, and encased in cocoons, awaiting their final metamorphosis. The exhibit runs March 6th through April 4th, with an opening reception on Friday, March 6th from 6 – 9 PM. Both artists will be in attendance. 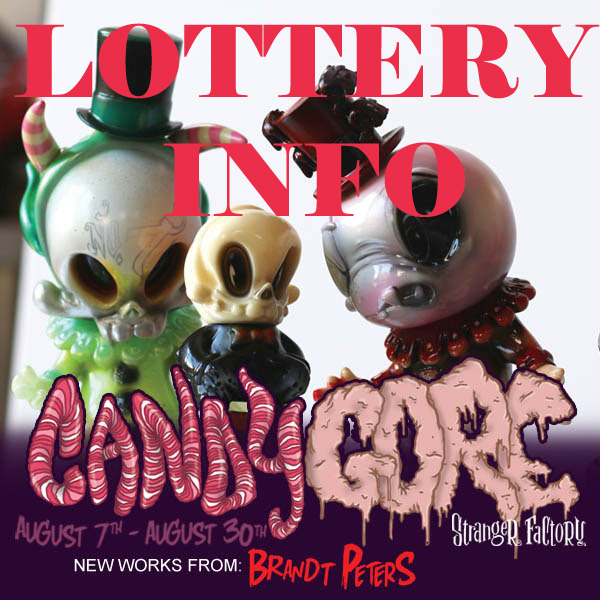 PLEASE NOTE: This is the first show at Stranger Factory’s new location!